My name is Rachael. I've always been fascinated with plants. As a young girl, I'd play amid the Oak Woodlands; catching motivating species, making plant concoctions, climbing trees and talking to imaginative rock friends. I had an affinity for the outdoors; especially the vibrancy of life that activated all of my senses. As I grew taller, I developed a strong bond with plants. They began to speak to me as I worked in the garden or romped around wild places. They'd remind me to slow down and listen. As I listened to their stories, I've deepened my connection to place. This connection has led me on a journey weaving together food, medicine, science, body and soul. My degree in Ecology & Evolution led me to research plants in areas far and wide. While in the field, I spent most of my time discovering how the plants around me were used by the local peoples. I found a passion for ethnobotany and herbal folklore. At the same time, I saw a trend of society living in a fast paced world; one where we do not allow ourselves the time to connect with plants, animals and places of the wild. It is my goal to reconnect people with "old ways" to help integrate wildness within their well-being. I am a gardener, wild-crafter, herbalist and teacher. I am a student of the natural world and I stand on the shoulders of many mentors who came before me. 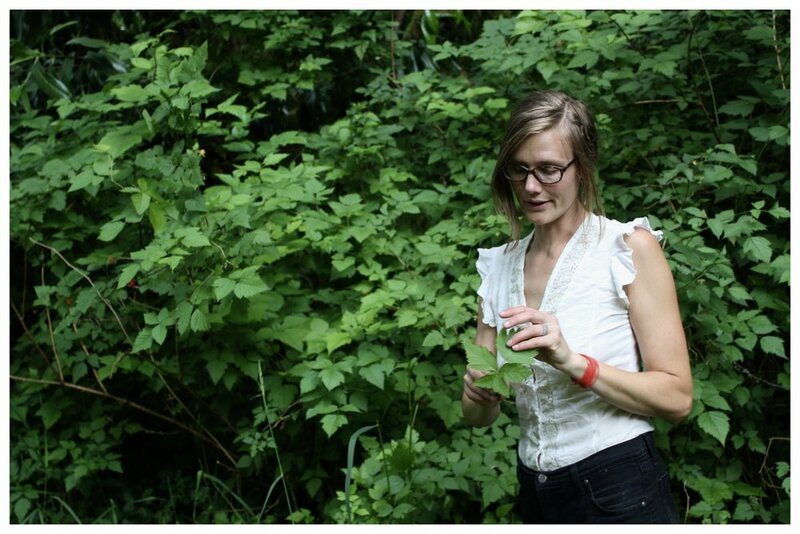 I've taken various herbal & wildcrafting intensives in the PNW and I am currently a student at the East West School of Planetary Herbology, studying Western, Chinese, and Ayurvedic diagnostic methods and herbal treatment. I offer handmade and heartfelt medicine as well as classes & workshops focused on wild plant edibles & medicinals, kitchen magic (herbal remedies & fermentation) and primitive earth skills (basketry, fire-making & hide-tanning). I am a plant dork. Walking, talking, looking, smelling, and learning why-what-grows-where, are some of my favorite ways to spend time with people, plants and place. I take pride in sharing with folks the wonders of plant wanders in the Pacific Northwest. Interested in collaborating? Contact me here.